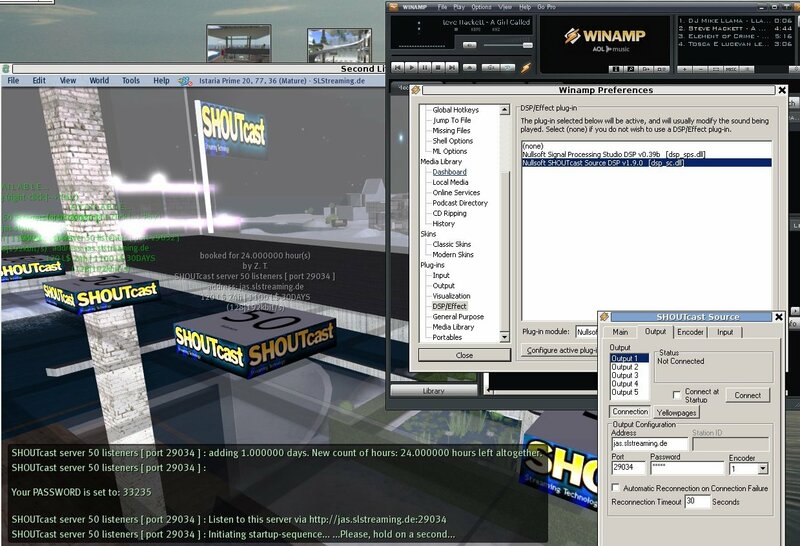 Each SHOUTcast or Icecast Server has its own in-game-TOUCHSCREEN as well as its own port. 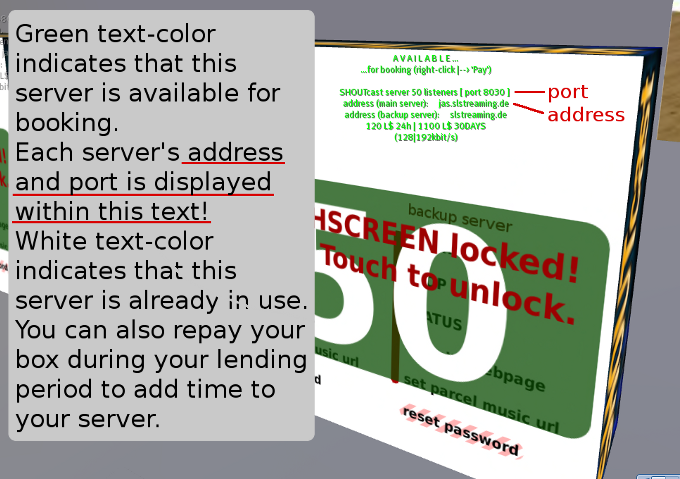 Your server’s address and port is displayed within the text on top of that box. You can also touch any in-game shopping bag to get your private link to your online-shopping-bag-webpage. Here you get a list of all your servers with addresses, ports, passwords and links to teleport in front of its in-game touchscreen. When you setup your DJ-program (or winamp-plugin) do not use „http://“ in front of the address and put the port into its separate field. To listen to your server in-game you need to set your parcel’s music url to „http://youraddress:yourport„. So if your address was jas.slstreaming.de and your port is 8000 your parcel-music-url would be: „http://jas.slstreaming.de:8000“. So use http only within Second Life but not when you setup the source of your stream.